Draft: 1999, Milwaukee Brewers, 1st rd. October 29, 2012 RHP Ben Sheets elected free agency. October 7, 2012 Atlanta Braves activated RHP Ben Sheets. September 15, 2012 Atlanta Braves activated RHP Ben Sheets from the 15-day disabled list. August 25, 2012 Atlanta Braves placed RHP Ben Sheets on the 15-day disabled list. Right shoulder inflammation. July 15, 2012 Atlanta Braves selected the contract of RHP Ben Sheets from Gwinnett Braves. July 12, 2012 Ben Sheets assigned to Gwinnett Braves from Mississippi Braves. July 4, 2012 Ben Sheets assigned to Mississippi Braves from Atlanta Braves. July 1, 2012 Atlanta Braves signed free agent RHP Ben Sheets to a minor league contract. 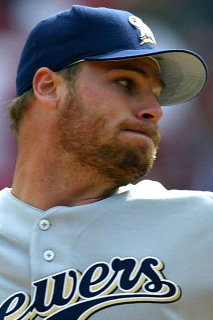 November 7, 2010 RHP Ben Sheets elected free agency. July 31, 2010 Oakland Athletics transferred RHP Ben Sheets from the 15-day disabled list to the 60-day disabled list. July 24, 2010 Oakland Athletics placed RHP Ben Sheets on the 15-day disabled list retroactive to July 20, 2010. Strained right elbow. January 26, 2010 Oakland Athletics signed free agent RHP Ben Sheets.